This "next steps in knitting" class will show you how to read your knitting and master the pattern! 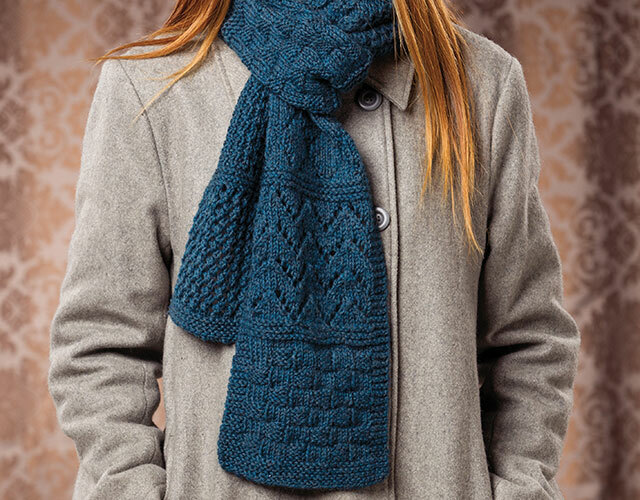 Are you tired of knitting the same scarves and hats? Do you long to start on a cardigan, socks or even a sweater, but get lost among the abbreviations and technical terms? Are you frustrated by having to rip out all your hard work and starting over again because you don't know where you were in the pattern? This class is just what you need to move forward in your knitting journey! Let instructor Patty Lyons teach you how to not just knit, but to read your knitting. When you've learned this imperative skill, it's easy to identify where you are and what you need to do next for whatever pattern you choose to do! Patty will then go on to teach you the ins and outs of patterns so you'll never get lost again! After watching this class, you will be able to not only read a pattern, but to master it as well! Class includes complete instructions to make two projects: Increase & Decrease Swatch and Read Your Knitting Sampler Scarf. I wish Patty would do a beginner's knitting class, so I can learn how she teaches knitting from the beginning. I loved the use of oversized needles to show stitches and direction of the stitches. Being able to follow along, stop and work on your own was helpful. There is so much information in this video that really explains what the knitter is doing and why. The whole session was great. Annies: I have not yet completed the course. However, everyone who has been enjoying this craft should take this outstanding course. There is so much to learn from Pat's course no matter how long you've been knitting. You have been knitting! Explanations extremely helpful. I am a visual learner and this helps immensely.